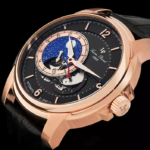 World of Watches is dedicating yet another weekend to the fabulous watch brand Invicta. 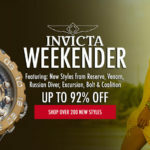 This weekend log on to find the best in Invicta timepieces with price tags slashed up to 90% off all weekend. 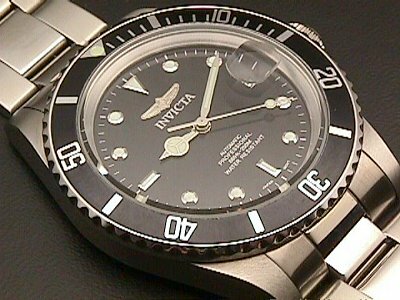 Invicta has an extensive collection of mens and women’s watches that range from luxury to casual. Shop now from our Luxury line I by Invicta or choose from popular styles like the Women’s Wild life collection perfect for any Woman’s wardrobe, adding a splash of style and elegance; Or from the much sought after mens line The Russian Diver Series available with different color dials as well as a ceramic strap to add class and sophistication. Here at World of Watches we hold an extensive collection of designer and luxury watches all at affordable prices for our loyal customers. Find famous names like Stuhrling Original, Lucien Piccard and watch industry favorite Swiss Legend in all the popular watch styles you want to see like Chronograph, Shekeleton, Diver plus many many more. 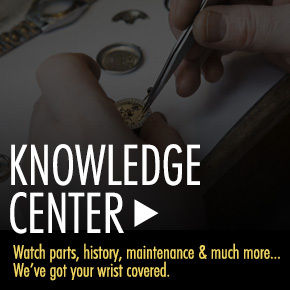 Everyday find prices slashed as low as 95% on all your favorite name brand name watches. Don’t forget to log on to this weeks Invicta sales special. Offer ends Sunday 10pm.